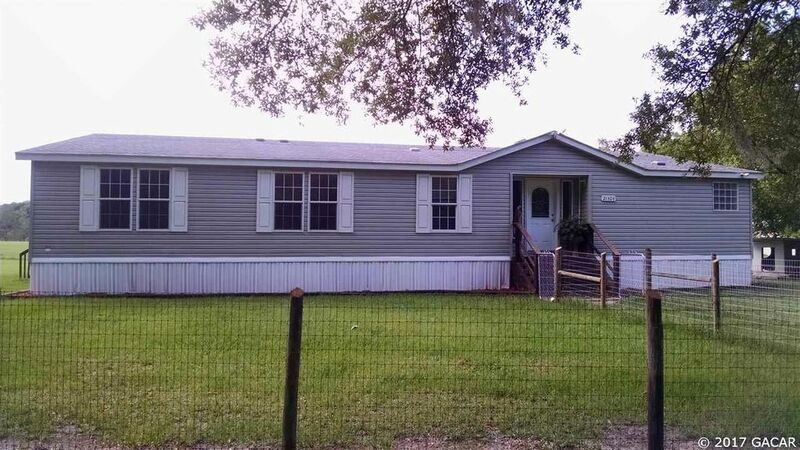 Well maintained TW manufactured home on 14+ acres. Quiet and peaceful property close to downtown High Springs, Gainesville and Lake City. Home features 4 bedrooms, 3 bathrooms, over 2600 sf of living space, many upgrades including tape and texture walls, tile flooring and showers, huge master suite with sitting area, beautiful kitchen with stainless steel appliances that overlooks the living and dining room, handicap accessible deck with ramp and many more......be sure to look at all the pictures. Fully fenced with several outbuildings including 2 barns, pole barn and detached garage. Bring your horses or livestock and make this property your home.